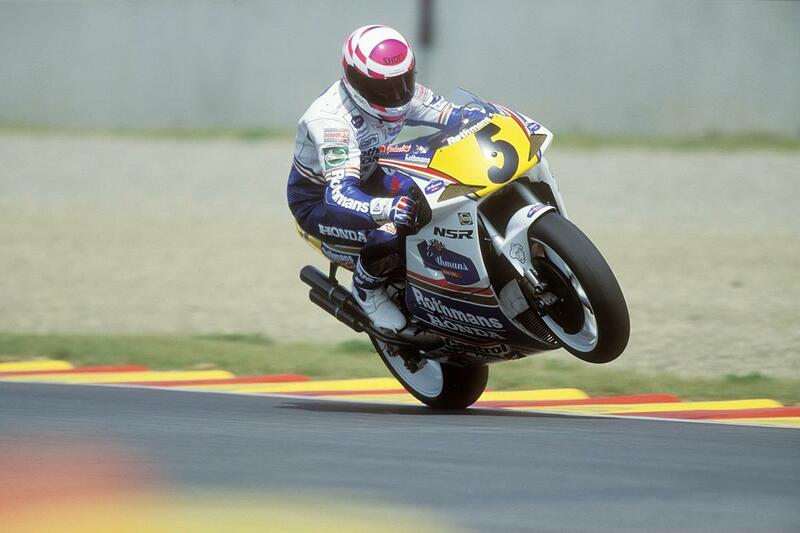 ‘It went from 50bhp to 150bhp in just 100rpm!’ Wayne Gardner, 1987 500GP champion. "There was nothing like riding a racing two-stroke. I only ever rode Honda 500s in my GP career and they were so thrilling. The NSR was light, agile had 200bhp and was so responsive to the throttle. They were so edgy. "The mid-to-late 80s was a difficult time to be racing motorcycles. The chassis wasn’t very good but there was a lot of power. It came in at 9,700rpm and you go from 50bhp, rise another 100rpm more and you have 150bhp. It was really aggressive and top speed was incredible. There was a lot of development done – the engine was so fast but it took the chassis a long time to catch up. "I enjoyed getting the bike to work. The engineers at Honda made a mistake to begin with though, figuring that the weight should go down low, but in hindsight Suzuki were correct with putting the weight higher. In 1988 and 1989 we started moving the chassis around and then we worked on the big-bang engine which helped make the tyres last better with usable power. 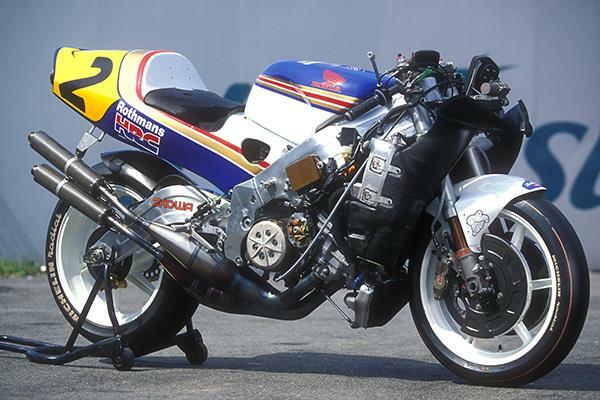 The late 1992 NSR was unbelievably good and didn’t really get changed from then until the last NSR500 in 2002. 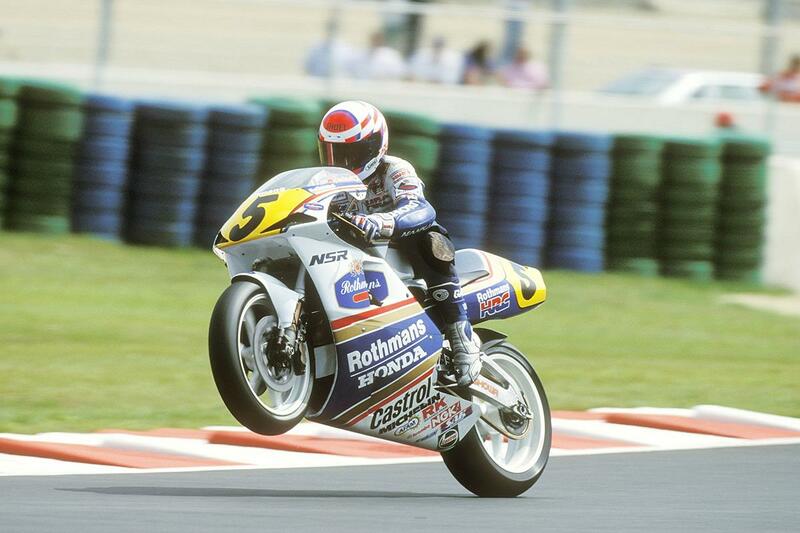 It won titles for Doohan, Criville and Rossi." "A MotoGP bike’s sweeter power delivery makes it easier out of corners but that makes it harder to make a difference against other guys at the end of a race. The 500’s power was more wild, so the bike was more difficult to ride, but if you took risks in the final laps and you made two or three ‘spins’, you could make the difference against the others. 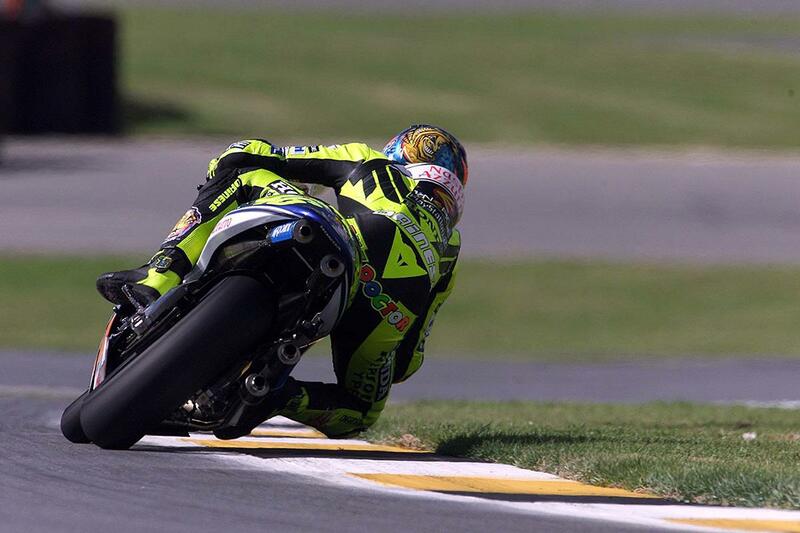 It’s not impossible to do that with a MotoGP bike, just more difficult. "So to me the two-stroke was better, even though now it’s a worse bike compared with the four-stroke. The two-stroke was more difficult. Setting up the bike was harder and if the setting wasn’t 100 percent the bike was a disaster, which is also is a big challenge for the mechanics. With the four-stroke, the engine arrives and the mechanics put it in the bike, that’s all. So everything is more flat, for the rider and for the mechanics." Have a browse for your next bike on MCN Bikes ForSale website or use the MCN's Bikes For Sale App. Honda’s CR family of motocross bikes stayed at the top of the tree for decades of off-road racing.